Wellness tips aromatherapy with properties of essential oils and online resources makeup new look trends beauty shopping tips on many other articles. Each time, pressing the petal of a flower, a leaf, any part of a plant, it gives off a scent, it means that you are free essential oil. The term ‘aromatherapy’ indicates the use of aromatic essences, also known as essential oils or volatile oils, to ensure well-being, to prevent the disease or to treat certain morbid affections. For ‘aromatherapy’ means a holistic healing method that can act on the physical, mental and spiritual through the ‘use of essential oils. 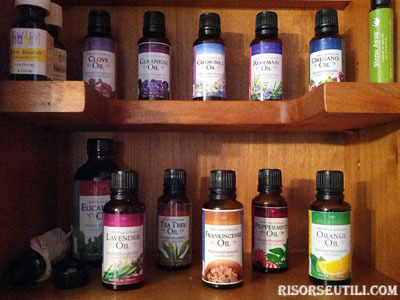 Essential oils are highly volatile substances, which thanks to this feature can easily reach our noses. Among the complementary therapies, aromatherapy is one of the best known and one that is growing rapidly around the world, Its therapeutic value is increasingly recognized by researchers and doctors. 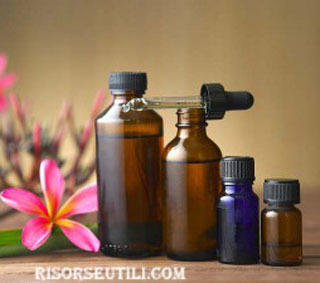 Essential oils are precious fluids, sweet-smelling, extracted from many plant species. In fact, they are used much more than you think. 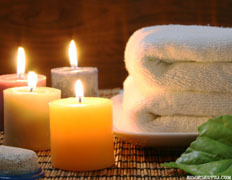 There are many treatments, fragrances and beauty products. Essential oils are non-oily essences, particularly concentrated in certain parts of the plant: flowers, resin, bark, roots, peel, leaves, fruits, they are volatile fractions obtained from plants by distillation of steam. They have a complex composition. Are poorly soluble in aqueous solutions. Intensely stimulate the sense of smell, as they evaporate at room temperature. Essential oils have the physical, chemical and therapeutic properties. They can be regarded as the soul of the plant, since they are the result of mining, through particular processes, the essence of the energy plant. Their action is never just something limited and highly specific to an organ or a system, but rather they have a more general organism in all its affections and aromatherapy should not be seen only as a remedy purely symptomatic, but as a real systemic treatment. Essential oils give you energy and lucidity, care for your skin and are good for the body and the spirit. The composition of a natural essence is much more complex than the sum of its constituents. 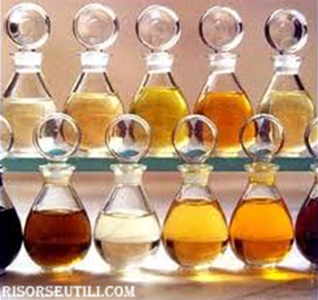 Essences chemically reproduced in the laboratory, in fact, generate a mixture only apparently equal to the original, as demonstrated by the comparison between the activities of natural and synthetic substances. It is interesting to note how the botanical species richest in essential oils are distributed mainly in areas warm and sunny, in fact a particularly important factor to the characteristics of photo exposure and, therefore, of light and heat. A fundamental peculiarity of essential oils, very interesting about the effect on humans and the possible applications is that they are perceived by our sense of smell fragrant. This sensory activity is the most stimulated by essential oils. Unlike the other senses, the olfactory stimulation are the only ones to go directly to the cerebral cortex, without being filtered by the center receptor ‘thalamus’ for an examination. The aromatic molecules that are spread in the air reaches the upper part of the nasal cavity. The olfactory cells, once requested by aromatic molecules transform the chemical stimulus into electrical impulses that in turn stimulate the centers deputies smell. This explains why a smell or scent can instantly evoke memories of experiences also live very long ago. In this case, rather than a simple memory is almost relive a past experience, which reappeared forcefully. The memory triggered by an odor is, therefore, much more intense than that evoked an image or a sound. Essential oils can be absorbed by humans primarily through two pathways: the external (inhalation, baths, skin absorption, massage, etc. ..) and inner (oral), both to be used with caution and under the supervision of specialists . Aromatherapy involves (through the sense of smell) emotion, memory, sensitivity and all areas related cognitive, as well as the endocrine and immune systems, just think of how much importance is attached to the scents related to the sexual sphere of each individual . The anosmia (inability to perceive odors) causes a lowering of the immune system and is related to certain types of mental depression. Depending on the plant, the oils are found in different parts of plants: the flowers, roots, barks, leaves etc. HIGH (Note Head): acting in a spiritual and ethereal, with stimulant, it is the intense perfume oils that act with swift action; oils are dynamic, active, outgoing, thanks to their high vibration and are fresh suitable activities concentrative; oils are highly volatile. MEDIA (Note Heart) act on the emotional level, essential oils are intense, sensual and harmonizing from the soft and floral, have an action at an intermediate level between the oils high-frequency and low-frequency are moderately volatile. LOW (Note Base): acting on the physical level and the action oils are relaxing, stabilizing and balmy with warm aroma, the scent delicate, are not very volatile and their action is prolonged. Hinder the development of germs. Their antiseptic power is general, albeit with very different chemical compositions, and is carried out either in the presence of their vapors or by direct contact, it is also valuable because it is associated with a harmless to healthy tissue. Inactivate the substances of cell deterioration. It is no coincidence the essences were widely used in ancient times for the processes of embalming of bodies. The reference blood that cause oil stimulates cell regeneration. Aqueous solutions of essential oils, especially of the family Labiatae (lavender, sage, rosemary, thyme), facilitate the processes of tissue repair and stimulate the healing of wounds and skin ulcers, preventing over bacterial infections. Are conducted effectively in the removal of insects, moths, mosquitoes. In particular, thyme, geranium and bay leaf. Useful in the treatment of painful articular diseases such as osteoarthritis. They also act locally applied, through packs or for massage, thanks to their ability to spread from the skin to the deep tissues. Stimulants are at the level of the endocrine glands, including the adrenal cortex, responsible for the ability to withstand stress. You can find more articles, with tips and details on our beauty and wellness category. Thanks again for visiting, share the article if you want. Thank you for having chosen this site, and good navigation.